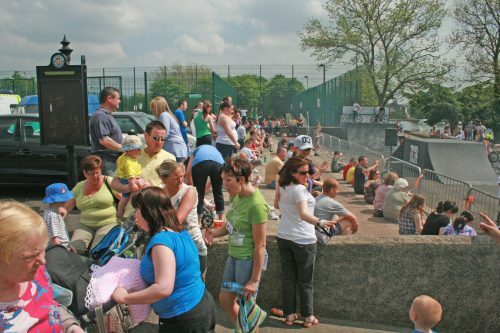 New Lodge Arts is a thriving arts organisation providing innovative, fun and educational activities that stretch right across the community and political divide in north Belfast. 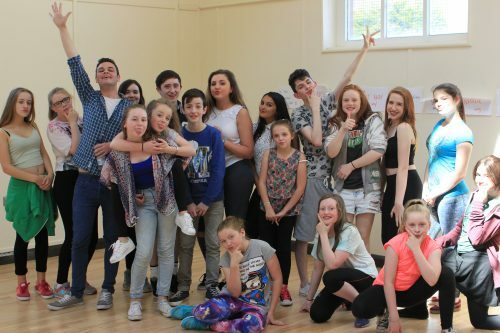 Set up in 2003 by Ashton Community Trust, New Lodge Arts has embedded itself at the heart of North Belfast, providing over 800 workshops per year with 2,000 young people participating. With a strong community focus and a passion for supporting the needs of young people within the area, New Lodge Arts provide creative opportunities and challenges that unlock young people’s potential inspiring them to grow and succeed. New Lodge Arts continue to strengthen and develop their annual arts programme in order to tackle the very real issues that affect local young people. New Lodge Arts Academy: The Arts Academy continues to be the core programme delivered by New Lodge Arts. The aim of The Academy is to improve participation and increase access to the arts for children and young people from across the Greater New Lodge and neighbouring communities. The Academy provides a consistent quality programme of arts activities for children and young people aged 3 to 18 years. Activities will take place on a weekly basis throughout the school year in dance, drama, visual arts, digital arts and event management. New Lodge Arts Academy follows the academic year and is delivered at centres within the Greater New Lodge and across Inner North Belfast. An End of Year Production incorporating all elements and participants of Arts Academy is produced in June each year. Arts Academy – Taster Sessions / Projects: Taster Projects act as an entry point for children and young people who may not previously have been engaged in arts-based activities. Performance and exhibition opportunities will be sourced for participants of the programme both locally and across the city providing further confidence building opportunities. Taster Projects take place in various youth and community groups across north Belfast. North Belfast Community Pride Programme: The Community Pride Programme is now renowned across the area and includes Spring Festival, Summer Academy, two-day Lantern Festival and the Winter Fest programme delivered throughout December. The Spring Festival focuses on building good relations among communities, providing an opportunity for celebration. 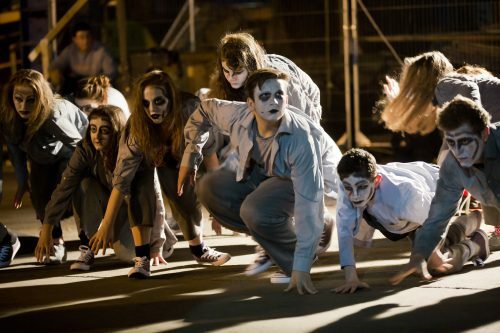 The foundation of the project is the outreach programme with schools and community groups across Belfast and this includes: Dance, Drama, Visual Arts and Music workshops. The main event involves street theatre, live music, dance, circus performers and arts & crafts. The Summer Academy involves two weeklong programme of activities in early August – a Junior Academy and a Senior Academy. The programme culminates in a performance in the Duncairn Centre for Arts. 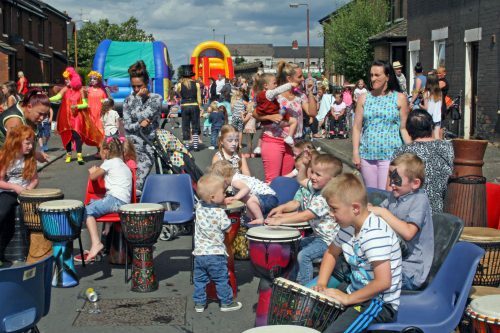 The project contributes to the New Lodge Summer Festival, a programme of events organised by several local community groups. The North Belfast Lantern Festival is a highlight of the calendar for everyone. It involves lots of outreach activities and a major event in a local park. Around 20 youth/community groups from across North Belfast are involved in the workshops. The aim is to develop more meaningful engagement on a cross community basis. North Belfast Winter Fest is targeted at children, young people and their families from across Inner North Belfast. The aim is to encourage community celebration at Christmas time providing opportunities for communities to come together. The New Lodge Arts Christmas Pantomime continues to be the highlight of the programme. Youth Development: New Lodge Arts provides support to young people through leadership development opportunities as a progression route from participation. A Youth Advisory Group of young people aged 14+ years will support and advise on the direction and work of New Lodge Arts. The Youth Advisory Group will move through a programme of activity including personal development, leadership training and training in roles and responsibilities of management committees. OCN Level 2 – Leadership in Youth Work: New Lodge Arts delivers this OCN to young people interested in pursuing a career in youth work and provide placements within the youth services in the area. Participants will gain an OCN Level 2 upon successful completion of the project. Volunteer Development: Volunteers have the opportunity to support all aspects of New Lodge Arts’ work from Arts Academy workshops to events and office administration. Training includes Child Protection, First Aid, Health and Safety and Arts and Crafts. OCN Level 2 – Event Management: Participants learn skills involved in managing events including the North Belfast Lantern Festival, Christmas Panto and Arts Academy showcase. Inner North Youth Platform: The Inner North Youth Platform is a project led by Loughview Community Action Partnership, it provides a platform for young people from across Inner North Belfast to work together and learn more about each other in a safe and supported environment. The group is made up of 15 young people from different communities across inner north Belfast. Summer Fun Day: The Event Management group manage a Summer Family Fun Day in the Waterworks Park. The project includes a Treasure Hunt, Arts and Crafts, Refreshments and Performers. Artist in Residence Programme: Charlotte Bosanquet is currently Artist in Residence with New Lodge Arts. During 2016, Charlotte will be based at the Culture Shop, Ashton Centre and will facilitate workshops or drop-in sessions for local participants. Drawing Classes for Adults: New Lodge Arts deliver Drawing Classes for adults on Tuesday’s and Friday’s from 11am-2pm in the Culture Shop, Ashton Centre. The class is led by artist Duncan Ross and provides a space for adults to develop their creativity. International Projects: New Lodge Arts seek opportunities for young people to visit other countries and learn about other cultures. Projects have included an Improvised Theatre project in Holland, a WWI project in Belgium, a WWII project in Poland and a cultural awareness project in Sweden. Additional partnership projects: New Lodge Arts regularly partners with local, national and international arts organisations on a variety of projects. These organisations include Arts Ekta, Feile an Phobail, DU Dance, Green Shoot Productions, Oh Yeah and Primecut Productions.